With advancement in technology, smart products are becoming more sophisticated and are easily available in the market. 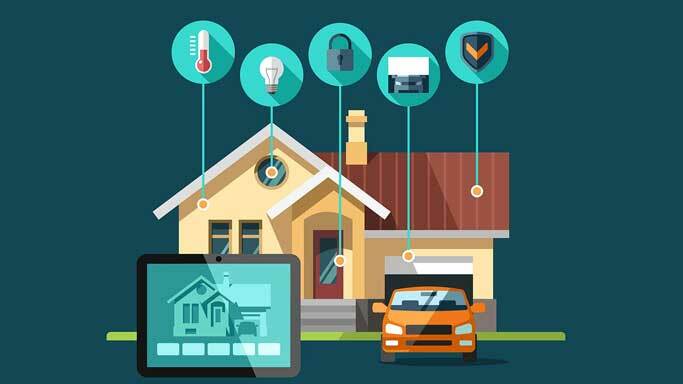 You can now experience a true smart home by making all these devices work together, seamlessly. With home automation in Norwich becoming more common, you can now dim the lights, adjust the temperature of your heating appliances, lock the doors, close the curtains and browse through your favourite music tracks by just pressing a button. We don’t just throw one solution at a single home, we look at the home as a whole and integrate the right mix of technology and know-how to maximise energy efficiency. We partner with the very best in home automation technology and suppliers for all our integration products. Get in contact with us at SecurilecAV for a bespoke smart home control system. A fully integrated smart home provides a range of benefits in addition to just single button control of your connected devices. Keeps your utility bills low as the intelligent controls automatically adjust the heating and lighting of unoccupied rooms. The curtains and lights adjust automatically when you are away which make your rooms appear occupied. Install home entertainment systems in Cambridgeshire to manage your favourite programs and browse through your audio list from a single source in any room. You don’t have to set up audio systems and set-top boxes in every room. Use your tablet or smartphone and control the appliances in your home from wherever you are. Our work meets the highest standards set by the governing body CEDIA. We provide a comprehensive design, supply, planning and installation service. Our home automation and home entertainment systems in Norwich and Cambridgeshire are at affordable prices. We will assist you from the concept to completion, including the designing, installation and commissioning. We offer customised home automation including smart locks and automated blinds which match your exact requirements.